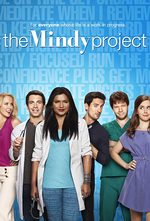 Mindy is struggling to be a single mother while running two businesses, as Danny is away taking care of his father. Things get worse when Mindy learns her fertility practice is struggling financially, but help comes from an unexpected source. Oh, and Peter's in town! But he's closer to old Peter, the heavy-drinking, always-partying fun-time dude, whose sudden appearance stresses both Mindy and Jeremy. I'll agree with The A.V. Club on this one: The Mindy Project wastes a Peter visit in “Later, Baby”, but I also appreciate some of the "adult" discussions of everyone pretending (in not-fun ways) to be something else. First, thank you for posting this! I completely missed it until now and posted a double, hopefully, not long for life. Second, I kind of liked how Peter was treated. In his last series of appearances, Peter really came across as almost as this anti-Original Peter. He was more mature and seemed to have just the right advice for Mindy or whomever. He was all grown up. It was nice to flip that back on its head and present a Peter who had his own problems to overcome and admit to. While I appreciate the character in terms of entertainment value, I still find Jody's character perplexing. He's a satire of the Southern Gentleman in the same manner that Peter, coincidentally was intended as a satire of the Bro Culture/Frat Boy type - but so far, he hasn't really made any real character development. His failings still kind of present as "successes" in a male dominated culture, like sleeping with a bunch of coeds. The fact that he slept with his brother's wife didn't come across in the show as terrible, but kind of like some obvious Southern stereotype. His sister is so much more enjoyable as a character, a fully fleshed out character, at that. I also liked how Morgan was literally delegated to the background for a change. His back flip was great comedy, but it worked because he was shunted out of the actual scene. I like the actor and the character, but we've had plenty of Morgan so far this season. I'm with you on Jody, Atreides. He was introduced to the audience shaming Mindy for breast feeding on the subway, and I feel like the show hasn't done enough with him to let me forgive that. And I really love Garret Dillahunt, so that's saying something.